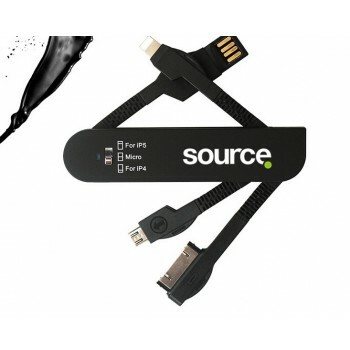 There are 3 of the most popular connectors: usb, micro usb, iphone 4s 30 pin and the latest lightning lead for iphone 5 and 6 with flickable mode selector switch on top surface3 in 1 Army USB Adaptor is a great gift for the busy business traveller! 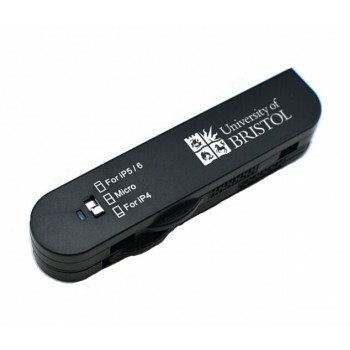 This handy gadget allows you to charge or data transfer from your laptop to any apple iphone. 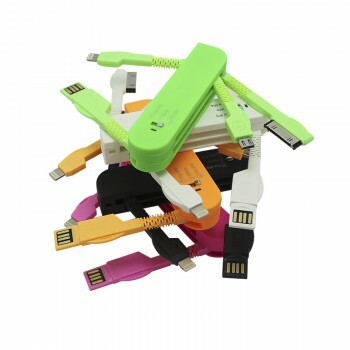 The cables fold away neatly when not in use for easy transport like the famous Army knife from the land of Cuckoo Clocks.